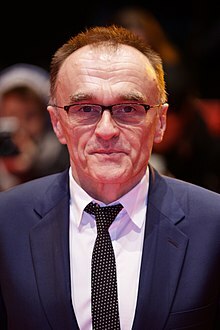 Last August, the blog asked whether Danny Boyle and Eon Productions did proper due diligence before Eon decided to hire Boyle to direct Bond 25. Boyle, seemingly, has confirmed the answer was no. Empire magazine has a feature story about Boyle in its May issue. The story isn’t online, but Boyle comments about Bond 25 have been summarized, including a story at the MI6 James Bond website. “We were working very, very well, but they didn’t want to go down that route,” Empire quotes Boyle as saying. “What John Hodge and I were doing, I thought, was really good. It wasn’t finished, but it could have been really good. It sounds like Boyle learned his lesson the hard way. If he had done a little research, maybe a half-hour using Google, he’d have discovered Eon often brings in multiple writers to work on Bond films. In some cases, the more the merrier. To be fair, Boyle would not be the first auteur director to have difficulties working in a blockbuster film environment. The 2015 Marvel Studios film Ant-Man originated with Edgar Wright. But, in the end, Wright bowed out while retaining a screenplay credit. Nevertheless, Eon had plenty of chances to check Boyle out. Boyle and Hodge reportedly pitched their idea. How did they think Boyle would react after telling him Hodge’s work needed to be reworked by other scribes? “Oh sure, Barbara. Whatever you say.” Not likely. They call it auteur for a reason. This whole affair likely is more complicated. Regardless, neither side did their proper due diligence. And both sides are to blame. That’s as obvious as how the sun rises in the East. UPDATE (March 21, 2019): Empire has posted an online excerpt of its Danny Boyle story that contains his comments about Bond 25.